Admittedly, rock music is a very broad field. There is classic rock, punk rock, heavy metal and alternative rock, just to name a few. And those subgenres have their own branches: alternative rock leads to grunge, punk rock to anarcho-punk, heavy metal to death metal, etc. And then there is our specialty: royalty-free rock. Originating from the rock and roll genre, rock music has come a long way. It’s unparalleled diversity offers a type of rock for everyone, resulting in a vast amount of bands and rock music aficionados. As far as popular music is concerned, it is perhaps the most successful genre worldwide. Of course, it is very easy to get lost in the vast amount of rock songs there is. Figuring out which one works the best can be quite a chore. 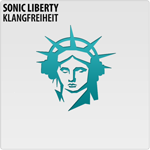 Fortunately, this is where Sonic Liberty comes in: in our stock music rock category, we provide you with a great selection of rock stock titles. For your convenience, we have gone to great lengths to ensure that the diversity of rock is mirrored in our production music. We offer indie rock, heavy metal, stoner rock, surf rock, pop rock, and many, many more. The versatility of rock music is an advantage for your project: aggressive, energetic rock titles are greatly beneficial for creating a fast-paced movie scene. Our garage rock tracks, on the other hand, can be used to create an atmosphere of nonchalant coolness. In turn, adding heavy guitar riffs and slow drums evoke a sense of gravitas and significance. Of course, our royalty-free rock titles are curated in a fashion that allows a vast amount of applications. Our indie rock titles, for example, are upbeat and motivating, rendering them excellent choices for events. Additionally, the atmosphere in video games, for example, can be greatly intensified by the right rock soundtrack: fast drums and aggressively distorted guitars pander to car chases, shoot-outs and boss fights alike. Dramatic scenes in film, radio and video games can benefit from added piano tunes which generate an atmosphere of longing and passion. Whatever your project is, you can rest assured that the scope of our rock stock tracks leaves little to be desired. Please enjoy browsing through our stock music rock category.